A quick view of the most influential metrics in Von Ormy. It has been known as Von Ormy since the late 1880s. Prior to 1880, the community was known as "Mann's Crossing", "Garza's Crossing", "Medina Crossing", and "Paso de las Garzas". The former settlements of Kirk and Bexar were absorbed into Von Ormy by the early 1900s. View our selection of available properties in the Von Ormy area. 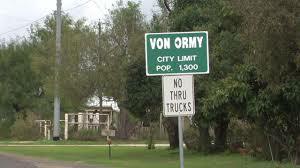 Check out the latest demographic information available for Von Ormy. Get to know Von Ormy better with our featured images and videos. Browse through the top rated businesses in the most popular categories Von Ormy has to offer.